The stitching together of Scandinavian and American cultures to create a unique, authentic, and personal ethnic identity frames the story of Mount Horeb. The Trollway is a unique result of the influences. 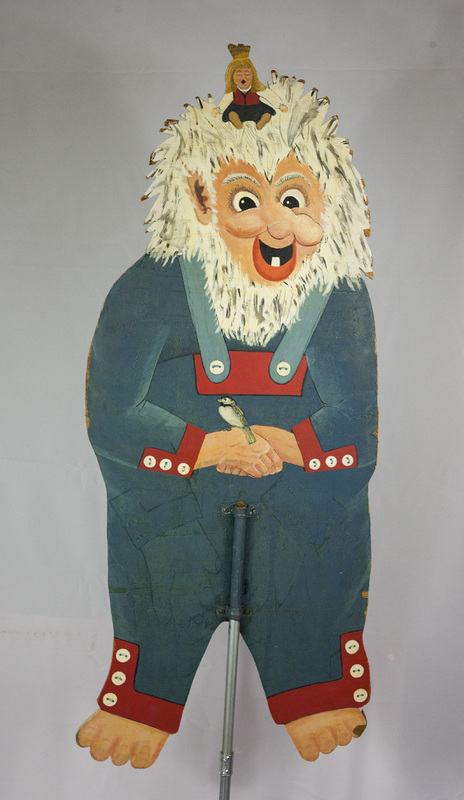 While the character of the troll emerges from Scandinavian folklore, troll sculptures and cutouts, and the brand of “Trolltown U.S.A.” incorporates elements of American highway culture as well. The relationship between the trolls and oddities such as the Forevertron in Sumpter, WI, the Tin Man Mailbox in Black Earth, WI, and a sculpture of Paul Bunyan and Babe the Ox in Bemidji, MN, as well as the commercial strip of downtown Las Vegas, reveal how Mount Horeb aligns itself with the American tradition of the roadside wonder. Attractions such as Carhenge, Cadillac Ranch, or Wall Drug have long been used to draw motorists off of the highway and towards downtowns or Main Streets to foster local economies. The Trollway joins in this tradition of branding a place as unique and welcoming, and also seeks to draw motorists into town to see these works of art such as Michael Feeney’s troll sculptures or Oljanna Cunneen’s troll dolls. Another example of this, although at a much larger scale, is the Las Vegas strip, famous for its extensive signage and neon lights. Despite their many and obvious differences, the Las Vegas strip is a distant relative of the Trollway in how it aims to capture the attention and imagination of passers-by in order to draw them into the main commercial parts of town.